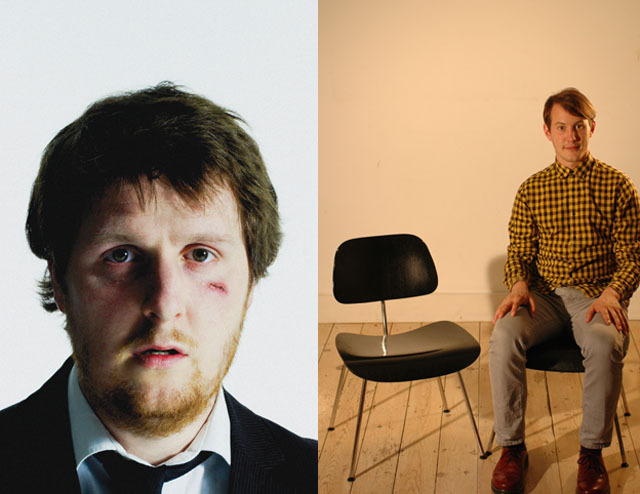 Tim Key and Jonny Sweet managed to leg it from last summer's Edinburgh festival with most of the silverware on offer, scooping Best Newcomer and the Comedy Award respectively. In February, the two former Footlights are bringing the shows which won them such acclaim to the Soho Theatre. With this weather you can almost believe you're in Edinburgh during midsummer anyway. Founder member of sketch group The House Of Windsor, Jonny Sweet laments the passing of his (supposedly fictional) brother, Arthur, with the aid of video, Powerpoint presentation and a 2-minute biopic play, in a show cunningly entitled Mostly About Arthur. Brace yourself and deodorise in anticipation of audience interaction as Sweet creates a wake for his stellar-synopsis compiling sibling, which he insists will be "bloody fun" from the outset. Meanwhile, Tim Key's show builds on the success of his idiosyncratic (for which read "deliberately bad", even though he questions the deliberateness of it) poetry and borderline sociopathic relationship with his stage manager Fletch, as witnessed in his previous Edinburgh show "Freeze". Key, who's made a name for himself as a BBC Four stalwart on We Need Answers, sketch show Cowards, and as Charlie Brooker's go-to poet, presents the kind of verse that would make Chris Morris wince, through the unconventional media of film, music (of sorts) and dance (of sorts).